Defense Media Network has a nice piece about the activities of the Coast Guard’s Patrol Forces South West Asia (PATFORSWA). The article makes a single quick reference to the desirability of replacing the six Island class cutters with Webber class cutters. This issue has been raised in Congress by CENTCOM. As yet no plans to build replacements, but I expect we will see this possibility raised again. There is more information on PATFORSWA here. 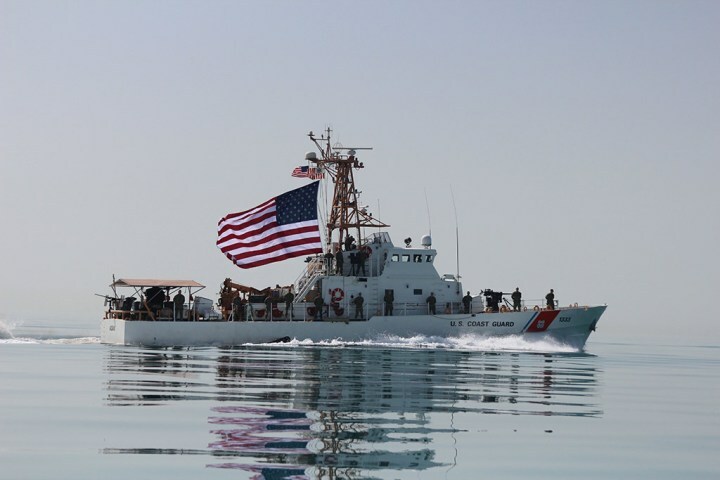 This entry was posted in Asia, CENTCOM, Persian Gulf, Webber Class, WPB, WPC by Chuck Hill. Bookmark the permalink. Unfortunately there is no official USN rqmt for replace the Cyclone PCs. The ones here at Mayport have been noted as being the busiest ships in the Navy. I think that a dual service ship should be procured and could be quite affordable if based on an existing class or design. The USCG should lead such a procurement since IF the Navy led, it would take far too long and cost twice as much.